What brought us here is the constant wind almost year round. Vila Kalango was founded by windsurfers who fell in love with Jericoacoara long before the place became world famous. That is why we have the Ticowind Windsurfing School and equipment storage on the premises of the resort. We want everyone to enjoy the sport and to learn, even children. In Jeri and Prea, the wind blows in our favor practically all year. But the best wind conditions are between July and February. Enjoy winds that range from 20 to 30 knots everyday during this season. 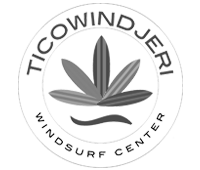 Ticowind offers courses with experienced teachers for beginners, equipment storage for those who have their own equipment, and an impressive amount of spots to sail. For lovers of Kite Surf or those who want to learn the sport, we have partnered with Rancho do Kite School- one of the best kite schools in the world. It is located at Rancho do Peixe, with a direct transfer from Vila Kalango. It has IKO (International Kitboarding Organization) instructors, certified in First Aid and trained to teach in English, Spanish, Italian and French. For one, two or three days, the courses take practical classes on the beach in complete safety, including the support of a radio system attached to the helmet to receive instructions even in the absence of the teachers in the water. Everybody’s welcome, even the kids! Learn more about Rancho do Kite. Meet Surfin Sem Fim, specialized in organizing kite adventures with a team of guides and professional athletes who accompany groups along the incredible Brazilian coast. An amazing immersion into the sea with perfect winds perfect, and not to mention spending your nights in the best inns of the region. As security is a top priority, they have 4×4 support service along the route and staff trained in sea rescue. They use radios and satellite phones to ensure the safety of the whole group.